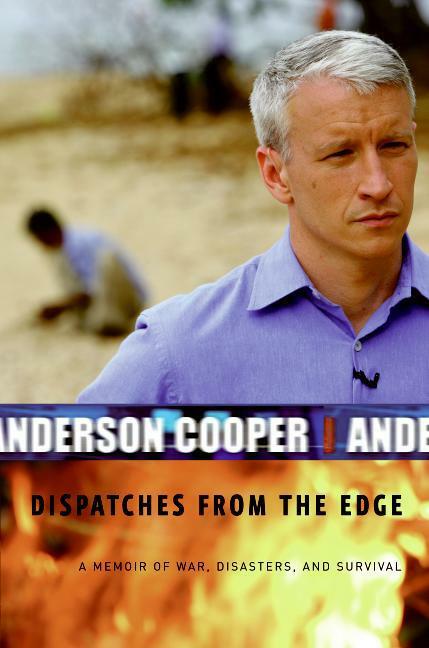 Dispatches from the Edge is a memoir by CNN correspondent Anderson Cooper. He wrote about his time covering stories in Iraq, in Sri Lanka after the Tsunami, and in New Orleans after Hurricane Katrina. He talked about the difficult of covering such tragic events. It was oddly comforting to find out that a seasoned reporter like Cooper has the same issues as a graduate student who hasn't cut his teeth yet. The biggest issue that Cooper faced was when to stay on the sideline and when to step in and help. In many of my classes we have talked about the importance of reporters staying out of the story. This is so you don't skew your story. It's hard to be unbiased reporter when your helping bandage wounds or lift people to safety in helicopters. You're not telling the story, you are part of it. I've struggled with that concept. As a proud Eagle Scout, I've learned that sometimes you have to step in and do things. I pride myself in doing what I can to fix stuff I see that is wrong. People know I'm a passionate person. I think it would be hard to hold that back while facing situations like the Katrina aftermath. The one time it's happened to me in real life was on Marathon Monday. I was a block away from the blast. I have First Responder training and I struggled with whether I should run the block to help or to take pictures. However, I didn't do either. I just stood on the corner of Dartmouth and Exeter out of the way. Did I do the right thing? I don't know. Cooper is arguably one of the most popular reporters on television. I don't watch him often, but I like him. He gets at people's emotions. Is that biased storytelling? Maybe, but people like and seem to trust him. I still don't know if I'm going to be a stereotypical journalist in the mold of Cooper. I like telling stories, but I tend to get caught up in the emotion of big stories. We'll see what happens. I think I've written some of my best stuff for my sports radio show on WTBU. I really enjoy doing the cold opens. Here are a few examples. I'll update them as summer goes on. Yasiel Puig penned a pretty little poem at Chavez Ravine. The last line rhymed with "Canned Ham"
The Rays and Red Sox stayed up past their bedtimes, and boy was Matt Joyce cranky. Sergio Garcia and Tiger Woods ran into each other at Merion Golf Club no word if they're sharing a meal together. The Dodgers and Diamondbacks seventh-inning stretch turned into the seventh-inning slobberknocker. Fight night at Chavez Ravine. US Men's national team gets one game closer to the World Cup. This time they got a win through the Altidore. The AARP will have to wait a few more years for Jason Kidd's membership as the former point guard is now the Nets head coach.